Julie Simpson had the perfect life; a loving husband, beautiful twin daughters, and in childhood she’d had the kind of loving parents others could only dream about. Yet, it was true, she’d sometimes had a niggling suspicion that the dear couple who’d raised her might not be her real parents. These thoughts occurred on odd occasions when some little thing in their everyday lives didn’t quite fit. She’d always brushed those thoughts aside for she knew without doubt, her mum and dad loved her. Then, to her horror, Julie discovers her fears are well founded. Even worse, she learns her parents must have taken part in her abduction when she’d been just a baby. Julie yearns to find out the truth; but she’s reluctant to start anything which might result in her mum and dad being prosecuted for her abduction. She still loves them and wants to protect them but, ultimately, the need to know her origin wins. Secretly, she seeks out her birth parents and forms a relationship with them; but owing to the necessity to safeguard her mum and dad, it’s a relationship formed and built on lies. 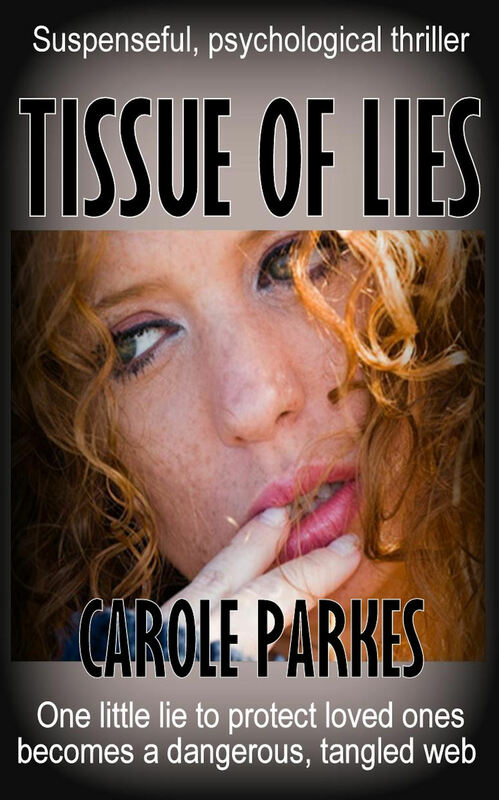 Soon, Julie feels the pressure of living with an ever-increasing tangle of lies and of living two completely separate lives with two sets of parents, who know nothing of her well-meant deceit. She’d have been more worried if she’d known the danger she was in. Will she find out in time? great material for a very good novel! Thank you! Did you read it? Thank you for following my blog and I love the extract from your book, so intriging. Your blog is interesting, especially the one about the cancer curing berry of Queensland. Want this book. The cover is beautiful . This is the kind of story I love. Thanks for following my blog. I am looking forward to reading other stuff on here. Thank you for your kind comment.You have a very colourful blog site; I loved the decorated pumpkins. Not the kind of book I usually read, but I think I’ll give it a try. Thanks so much for following my blog, Carole. Your book sounds exciting! I’ll have to go take a look. By all means, keep writing! I loved your stories about Anna in 1945. Some mothers just don’t know how to cope when their children grow up. I once read that a mother’s main role is teaching her children to be independent, and this is what I concentrated on. I had no qualms when it was time to let go, and looked forward to all the things I was then free to do. I hadn’t accounted for looking after my grandchild while her parents worked, but I thoroughly enjoy that role too. Thank you for commenting, and your interest in my book. I loved your short story “In My Eyes”. I really didn’t know which way it was going, until you surprised me with the ending. Great finish. Sounds like a very interesting book, going to have a look on amazon.ca now to see if I can find it. Thank you for showing interest in my book. I hope you find it and enjoy the “look inside” feature which gives the first few chapters free. It’s a pleasure to be following you. Pingback: Welcome to a New Friend | Carole Parkes | Psychological, thriller, mystery, secrets, betrayal, adoption, romance, poetry, art | Hey Sweetheart, Get Me Rewrite!